Five Seasonal Summer Vegetables - & what to do with them! 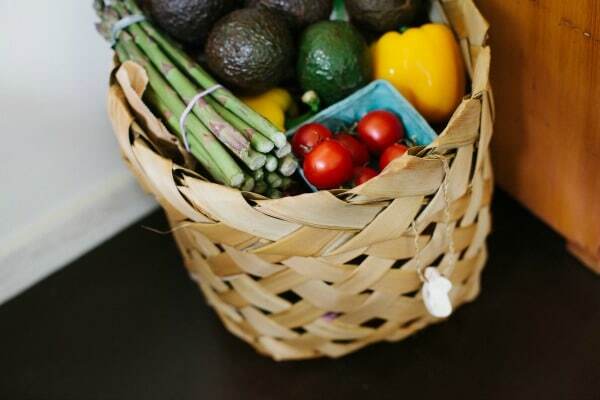 Buying local seasonal fresh fruit and vegetables are the best for your health and the welfare of the community. Whilst the produce has not had far to travel to arrive on your plate, you can enjoy your groceries at their freshest, cheapest, and at their best nutritional value. Buying British means supporting your economy and local farmers who help keep our countryside the way we want it. Here are 5 summer seasonal vegetables which are a must to pop in your grocery basket from your local shop or farmers market. Part of the cruciferous family, this delicious vegetable is an amazing source of nutrients including Vitamins A, C, E, K, magnesium, phosphorus and selenium, along with Vitamin B6, potassium and folate. Broccoli is also a good source of dietary fibre, and may help to promote gut health. Cruciferous vegetables are unique because they are rich in sulfur containing compounds called glucosinolates which support detoxification and indole-3-carbinol which greatly reduces the risk of breast, colon and lung cancer. Other vegetables in this family are Bok Choy, Brussel Sprouts, Cabbage, Cauliflower, Collard Greens, Kale, Mustard greens, Radish, Turnip and Watercress. Anyone with a suspected under-active thyroid problem are advised to lightly steam cruciferous vegetables. Add at least one portion daily to your diet. An aquatic plant found near slow moving streams and rivers with deep green leaves, and crisp, paler stems. 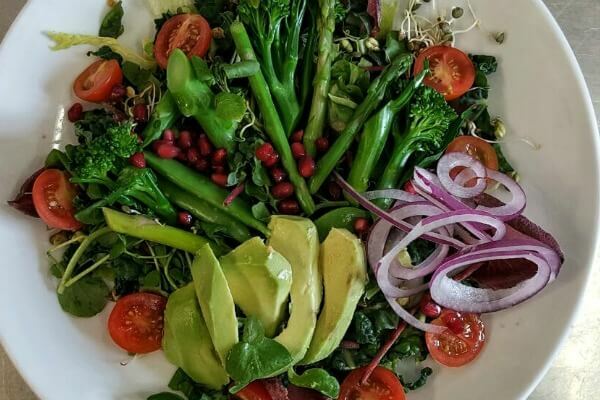 Watercress is highly nutritious, containing significant amounts of iron, calcium, vitamins A, C and E. It has great anti-oxidant abilities and when eaten before or after intense exercise, can scavenge free radicals in the body. Also because of it’s slightly bitter taste, when eaten 20 minutes before a meal, it can increase digestive juices, aiding the digestion of your meal. That go to, easy to prepare/no cooking dish we all love in the summer. Endive, chicory, rocket, radicchio, arugula, Mizuna, beet greens, cress, bok choy, butter, romaine, cos, lambs, Oakleaf, looseleaf and many more varieties. All have an excellent nutritional value that are soluble fibre, aiding in gut motility. The darker the salad leaf, the more chlorophyll, therefore the richer in vitamins and minerals. The more bitter they are, the better for digestion they are, such as endive, rocket or watercress as explained above. Add a simple but delicious salad dressing by mixing olive oil, fresh lemon juice, honey and tamari (gluten free soy sauce). Adding a little wasabi into the mix will give it a nice kick. 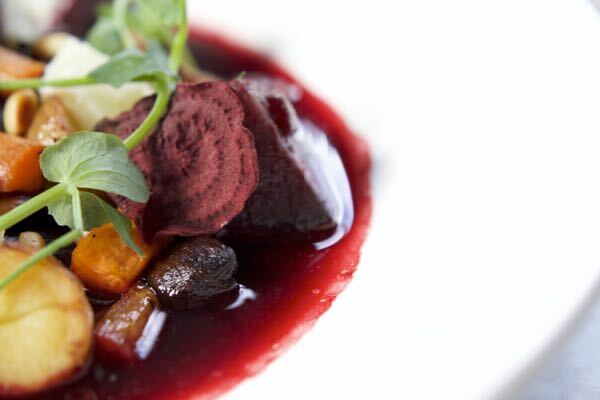 The vibrant red colour of this root vegetable makes it an excellent anti-oxidant. Anti-oxidants are important in the body as they scavenge free radicals that can damage our cells. Free radicals are produced during normal metabolism or when the body’s immune system’s cells purposefully create them to neutralise viruses and bacteria. However, environmental factors such as pollution, radiation, cigarette smoke and herbicides can also spawn free radicals. This wonderful vegetable contains potassium, magnesium, iron, vitamins A and C (the anti-oxidants), B6, folic acid, carbohydrates, protein and soluble fibre. Beetroot has been linked with better stamina, improved blood flow, and several studies have proved that when drank daily, can lower blood pressure considerably. Tomatoes are actually a fruit but get labelled as a vegetable. They are rich in lycopene amongst other nutrients which make’s them also a great antioxidant. The largest body system in need for antioxidant protection is the cardiovascular system in which the tomato excels. 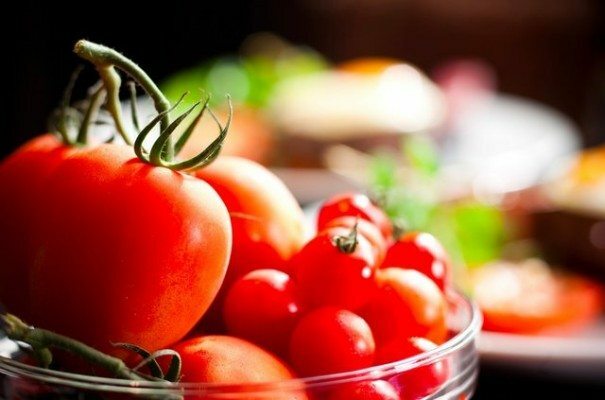 Lycopene has the ability to help lower the risk of artherosclerosis (blocking of blood vessels), as well as lowering LDL cholesterol and triglyceride levels in the blood, which can lead to cardiovascular problems. Unusually tomatoes are amongst the few vegetables that you receive more lycopene when cooked. For men, aim to eat 10 a week for a healthy prostate. For a delicious dish by Nigel Slater, roast 10 halved tomatoes with a slice of garlic, seasoning and a sprig of thyme on each one for 30-35 mins in the oven, 200C/Gas 6. Whizz up in a processor, 20 basil leaves, 10 oregano leaves, a tbsp of capers and the juice of a lemon, pouring 150ml of extra virgin olive oil whilst processing. Pour the sauce around the cooked tomatoes and enjoy on its own or with a source of protein such as fish or chicken. Ideally, 5 to 7 portions of fruit and vegetables daily will keep you healthy, regular and hold back the doctor from your door. Enjoy the summer and the plentiful vegetables that summer brings!